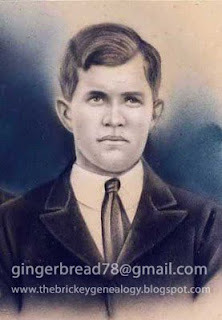 James Emmett Brickey was born 28 Jul 1902 in VA died on 27 Jan 1919 of influenza during the influenza pandemic. He is buried in Pyle Cemetery, Sullivan Co., TN. He was the son of John Floyd Brickey and Martha Melinda Kerns.